Home > VMI Advantage > Why Do Passionate People Create Exciting Customer Care? “This is why we do what we do,” Sue says as she removes a stack of photographs from a shelf on her desk. On top of the pile is a picture of a little girl; she’s beaming toward the camera — her wheelchair the last thing you notice. 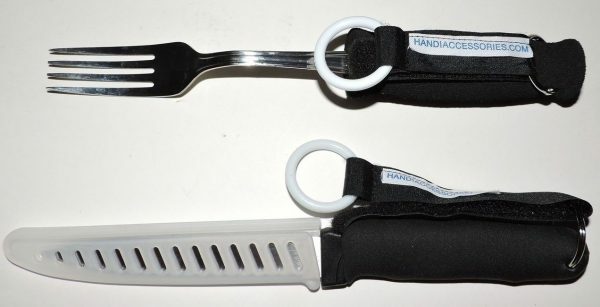 “These. This is why we do what we do,” Sue beams as she flipped to a picture of a couple who picked up their van from the dealership, and then immediately left for a road trip to Florida. Sue helps people like these get their wheelchair vans, but she also knows their stories; she keeps in touch with some of them, and ultimately she changes their lives by offering freedom. Sue Radacosky is a customer advocate in VMI’s Customer Advocate Center. 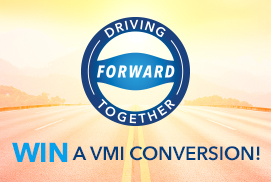 The CAC has customer advocates ready and available to talk with curious and potential customers about what VMI and its partners can do for them. 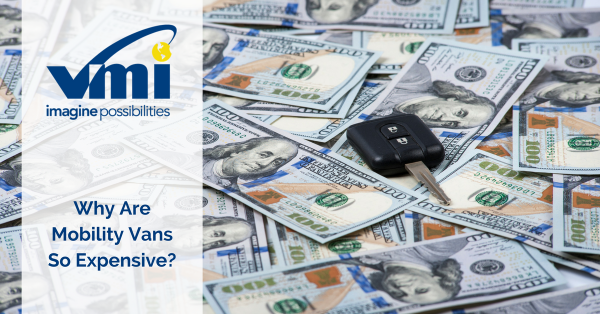 Whether callers know nothing about mobility vehicles, or if they are knowledgeable about wheelchair accessible vehicles and all their options, the customer advocates are there to help walk callers through the process. Sue’s goal isn’t to sell a van, but instead to educate potential customers about what they should be looking for, what they need and how they’re going to get it. She talks to everyone from first-time buyers, who know nothing about the vans or the process, to follow-ups with people who’ve had vans before. The process can look daunting to the uninitiated because of the sheer number of decisions to be made and the numerous details to figure out. But Sue says that’s a good thing, because each person’s disability, family dynamic, financial situation and needs are different. Having multiple options means callers get truly unique engagement and conversation. The CAC gets calls from caregivers, family members, and wheelchair users themselves. Many people who call in have been faced with recent diagnoses or life-changing news, a fact that Sue and the other customer advocates must be sensitive about. 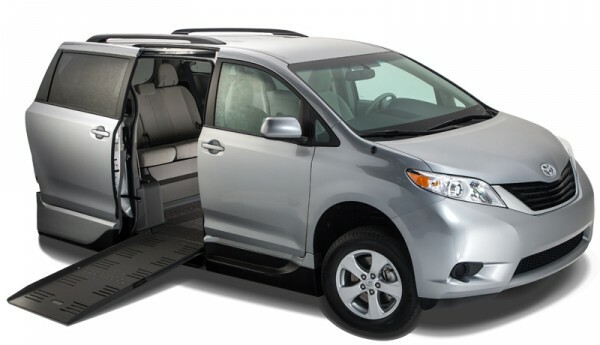 Many people, especially those who’ve used wheelchairs or other mobility equipment for a long time, aren’t aware of the possibilities that come with these vans, and the mobility that comes with it. VMI’s difference, according to Sue, is the quality of the product. 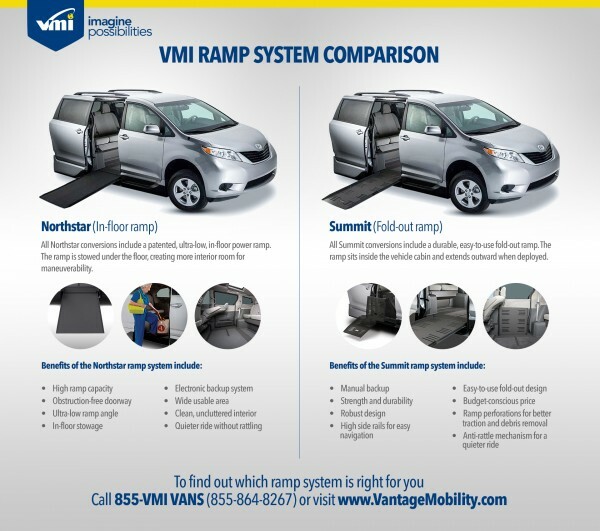 VMI is a leader in in-floor technology, with a ramp that doesn’t have to be deployed every time the door opens, or clank around and make a lot of noise like the fold-out technology that’s been around for years. Once Sue can get the customer to understand the difference between the in-floor technology and the fold-out design, she feels like the hard part of her job is done. She uses the word “imagine” a lot, explaining just how simple it is for anyone, even independent wheelchair users, to operate the vans themselves and then quickly be on their way. Once they’ve imagined it, their first questions are, ‘where do I get one of these’ or ‘how can I afford it?’, and the conversation goes from there. On the phone, her voice is calm, and she’s quick to ask about how family members are, what new thoughts or ideas might have come up since the last time they spoke, and remembers details about where each customer is in the van-buying or van conversion process. She’ll mention details from her own life, sharing about how much a van helped when she was her mother’s caregiver, and share other customers’ reactions about particular vans or setups. Sue’s experience and technical knowledge allow her to be successful at her job, but it’s her demeanor, understanding and compassion that make her good at her job, and what leads customers to send her their pictures months later, updating her on how their lives have changed since she helped them. Fill out this form to schedule a call with a VMI customer advocate and learn more about your mobility options.